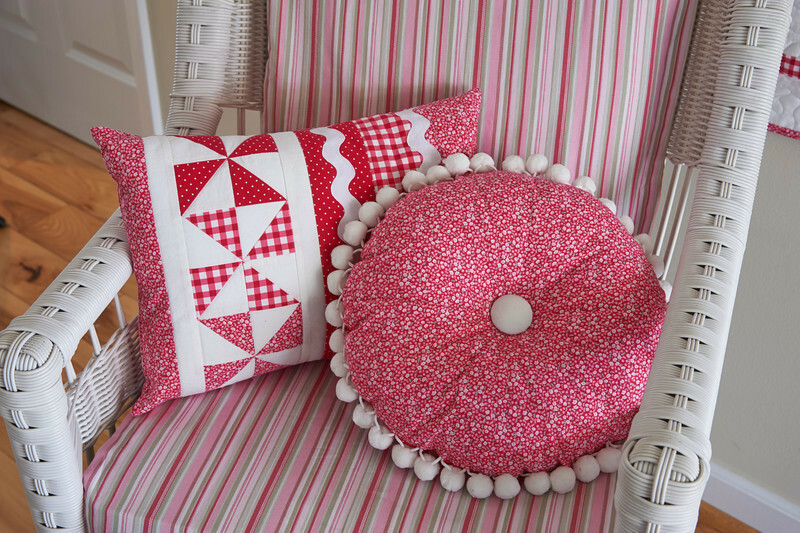 Last week we showed you Michele Crawford's version of Sweetie Pie; today we have a more contemporary take to share, Caitlin Bevevino's pinwheel "Precious in Pink," featured in the August-September issue of Quilt magazine. 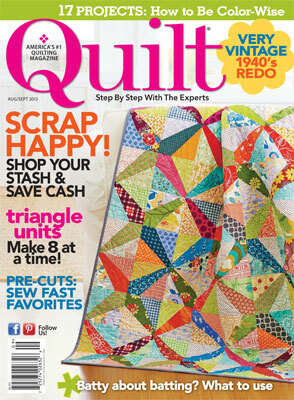 featured in the August-September issue of Quilt magazine. 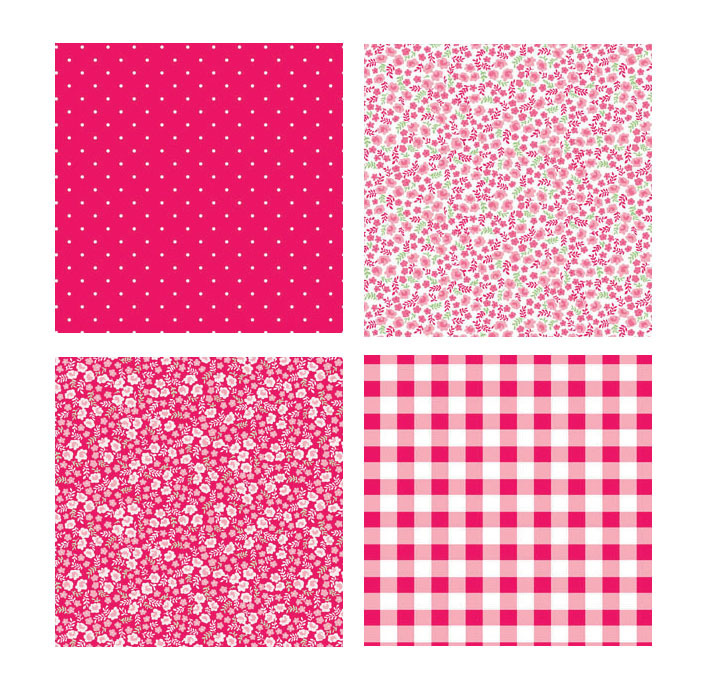 I chose the Sweetie Pie collection because it was something fun and bright for a kid's quilt, without looking juvenile. What prompted to use only one color (the pink) in this quilt? My aesthetic is pretty classic and clean, so using only pink was a natural choice for me. Why did you decide to make a pinwheel quilt? I used pinwheels for the same reason; I love classic blocks and pinwheels have always been one of my favorites. And, I think the mix of the bright fun fabric with the classic pattern gave it a nice contrast, and the pink really pops against the white. How did you decide on a border treatment? The borders are pretty plain, but I think they accent the quilt nicely; they frame the quilt well without taking away from the pinwheels. I usually lean toward plain borders when I want to really showcase the quilt blocks. Tell us about the coordinating pillows. 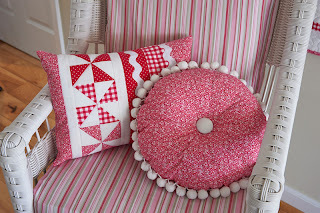 For the pillows, I added large rick rack and ball fringe because I've always loved those trims - especially rick rack! See the entire Sweetie Pie collection here.